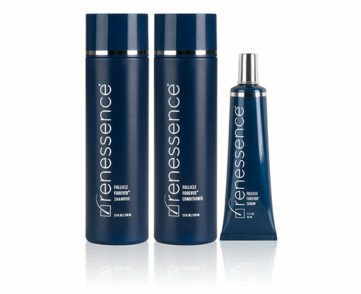 Our complete hair renewal system, all together at a web-exclusive price. Follicle Forever Strengthening Shampoo removes dead cells, oil, sebum and product buildup that strangle the follicle, leading to unhealthy hair. Follicle Forever Thickening Conditioner moisturizes, delivering essential nutrients for superior volume, shine and manageability. Follicle Forever Renewal Serum, the exclusive cornerstone of the Renessence Hair Renewal System, tackles thinning hair by stimulating stem cells within the dormant follicle. 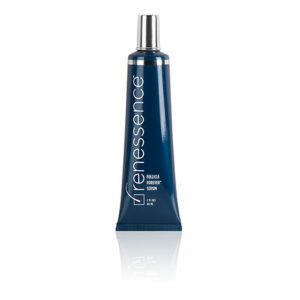 Place applicator tip directly onto the scalp within thinning and/or hair loss area(s) & apply. Massage lightly. 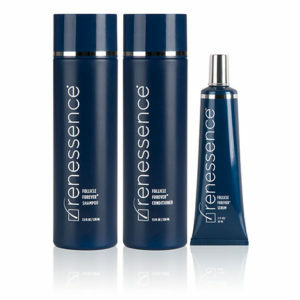 May be used on damp or dry hair. For daily use. Water (Aqua), Sodium C14-16 Olefin Sulfonate, Cocamidopropyl Betaine, Sodium Cocoyl Isethionate, PPG-2 Hydroxyethyl Cocamide, Glycol Distearate, Biotin, Phytantriol, Apigenin, Oleanolic Acid, Biotinoyl Tripeptide-1, Hydrolyzed Yeast Protein, Panthenol, Laurdimonium Hydroxypropyl Hydrolyzed Wheat Protein, Glycerin, Butylene Glycol, Polyquaternium-10, PPG-26-Buteth-26, PEG 40 Hydrogenated Castor Oil, Glycereth-7 Caprylate/Caprate, Citric Acid, Disodium EDTA, Phenoxyethanol, Caprylyl Glycol, Chlorphenesin, Limonene, Citrus Aurantium Dulcis (Orange) Peel Oil. After sustaining much damage due to way-less-than-stellar hair extensions & four months of Mexican sun, I began using Follicle Forever Shampoo, Conditioner & Serum. I had very little hope that anything, short of shaving it all off & starting over would help. However….my hair, after the very first use, was instantly boosted with more shine, volume & softness…annnnnd, also instantly, I began to get compliments on my hair again. 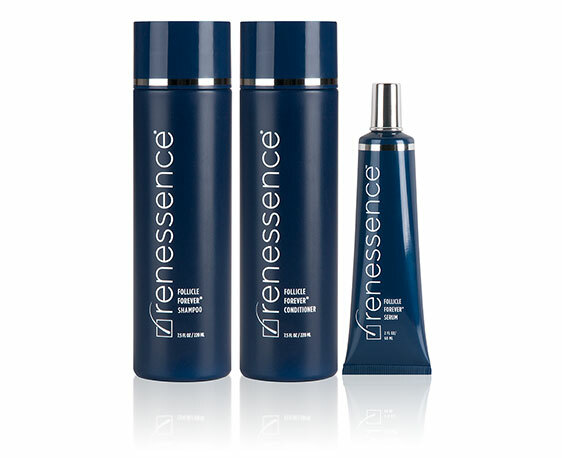 It’s been almost 6 weeks since that day & my hair has continued to benefit from the magic the creator of Renessence has put in these amazing products. On April 30, 2015 I seriously had no hair-hope & today, on June 11, I am a Renessence devotee. Thanks, guys! I’ve been using it only a week so far, I can already SEE visible results. I’m placing another order today! 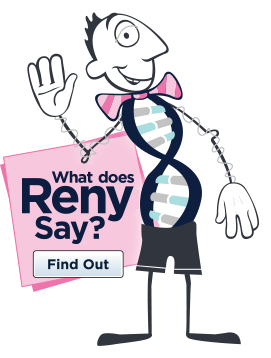 You’ve GOT to try this product!